What is Bigger and Better than Linsanity? Most Jeremy Lin fans have watched his 7/24 Lakers Press Interview and his biggest fans probably watched several times. promised to work his hardest to help his team. The last line doesn’t sound very Lin-like who’s known to be a humble Christian. And isn’t it a study in contradiction with the previous point he asserted that he tried not to repeat Linsanity again? How do we reconcile these two seemingly conflicted statements? Does it mean Jeremy wants to create historic events with a different type of Linsanity? Or maybe he was simply confused? Subsequently, another reporter mentioned about the Lakers’ struggle last season and being in a transition stage then asked if Lin felt the pressure to do anything. If we watch carefully how Lin answered the question about not trying to recreate Linsanity, Lin seemed to focus on the mental pressure (not the finished product on-court) that he exerted himself or from external source as a player. He decided to stop attempting to recreate the same player making a historic Linsanity run in the past but instead will focus on being a bigger and better player, thus making history in the future. In short, he said Linsanity is in the past and he truly believes he can be a bigger and better version in the future than his old self in 2012. This is truly a bold statement demonstrating the quiet confidence that Lin has in himself. 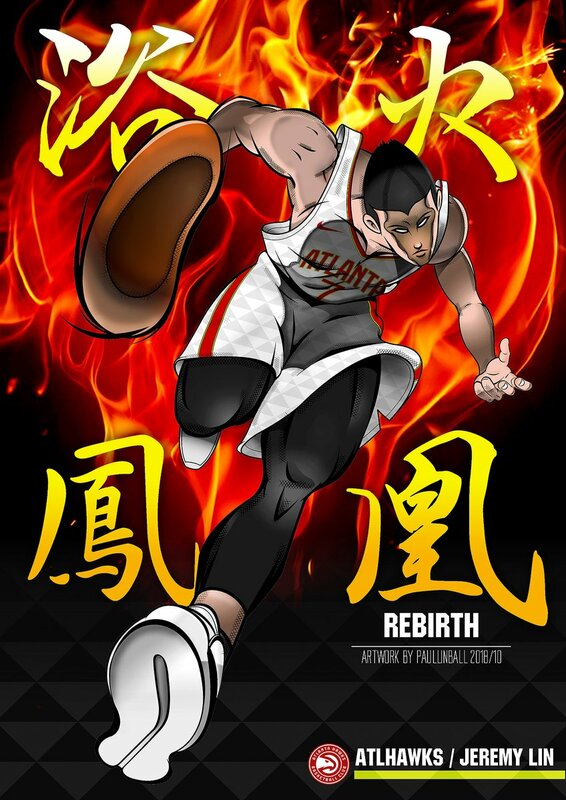 He wanted to be free of the paralyzing pressure to recreate Linsanity but he still wanted to try to create a bigger and better version of it. It’s definitely easier said than done since pressure would definitely come to test his will but give Jeremy credit for setting an even higher goal by simply working his best. When was the last time that we remember Lin said he can be better and bigger than Linsanity? This is quite a departure of Lin’s statements in Houston when Coach McHale has been trying to mold and brainwash him to be a role player (using the famous analogy a safe pinch hitter in baseball analogy than a home-run hitter). But thankfully Lin knows his true identity as an aggressive player and strives to practice controlled-aggression on the court. He is still in the process to be comfortable with his identity as an aggressive player, 0-100 where he likes to be at 100 without making unnecessary turnovers as he elaborated in the interview. Now the bigger question is: Does Jeremy know how he plans to be a bigger and better than Linsanity player? I think he has a big picture what he needs to develop individually as a player (i.e. practicing floater in the off-season), a constant aggressive-but-controlled mindset). He confidently shared he’s a much better player than 2 years ago with better defense, left-hand handle and 3PT%. How about the intangibles to join the new team? There are still so many unknowns since Lin probably hasn’t met Kobe or the rest of the team members. He only knew Steve Nash personally well since they trained briefly last off-season, played in Steve’s soccer charity and made Youtube video together. I thought Lin also demonstrated his high social intelligence during the interview by acknowledging Kobe’s stature as the alpha dog as the #1 most popular player in Asia with Lakers yellow jersey dominating the Asian scene during his tour. He reiterated Kobe’s text to be 100% accurate that they have lots of work to do to build their team and he’s expressing his desire to simply work hard as a Laker. Also, his renewed self-confidence in trying to make a history will appeal to Kobe’s competitive and workaholic nature which propels him to only respect players with skills and self-confidence to be a great player. With Nash, Lin adeptly navigated the who-will-start question by throwing ideas of even playing together with Nash on court since he’s capable being a Shooting Guard (based on his recent Houston stint) playing next to Nash as the Point Guard. Lin expressed his desire to emulate Nash game and will simply do whatever’s needed to help the team, starter or non-starter. Lin has definitely thought this through to position himself as an ideal new employee, willing to work hard to help the aging star in Kobe Bryant to build a real NBA team after the disappointing season when they didn’t make the playoff. How well will Lin’s plan work? I guess all Lin fans will have to stay tuned and watch the off-season training news and the developing chemistry between Lin, Kobe, Nash, Boozer, Nick Young and the rest of the Lakers. Finally, I’ll give an A+ for Lin’s preparation for his press-interview, his classy and gracious demeanor, and his renewed self-confidence that he can help the Lakers with bigger and better Linsanity. I can’t wait for the season to begin! Please share your thoughts below, if you agree or disagree with me. Thx for the thoughts. IMO, Lin is aiming to be an established star in the league. Lin aims for Linsanity level performance sustained for seasons; consistent excellence rather than anomaly. You’re welcome :] I agree that he truly believed that he can be a star with how much he has improved in the past 2 years. He must have thought he’ll pick Nash’s brain during the off-season so he’ll be ready to be Linsane everytime he steps on the court.